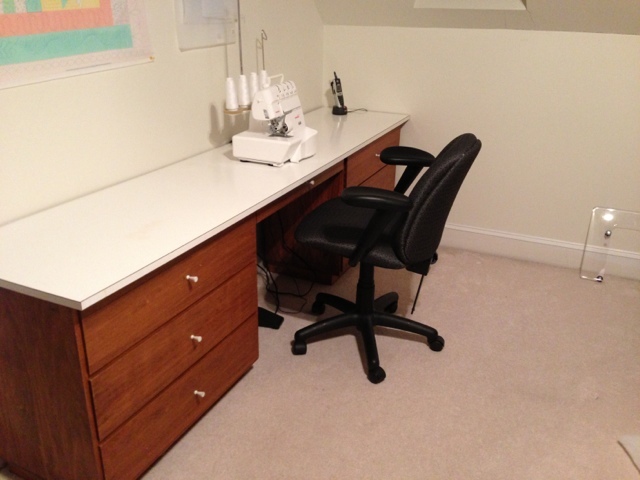 The movers came, and my sewing room is transformed. I finally got the furniture out that needed to go out, and in that needed to come in. 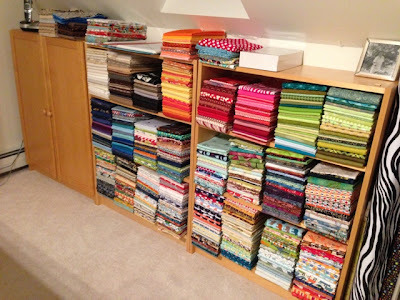 My piles of fabric are starting to fit into some bookshelves, though it's clear that there's still more fabric than shelf space. I reduced the size of my cutting table since usually the second half held accumulated half-finished projects. My air conditioner will no longer blow directly onto me, necessitating constant adjustment for my comfort. Most importantly, I'm almost finished handling the stuff in Ma's sewing room and converting it to mine or donating to charities. Admittedly, there are 8 boxes of her stuff in the shower, so those who tend toward name-calling might think "hoarder," but at least I can move in the sewing rooms to arrange stuff.